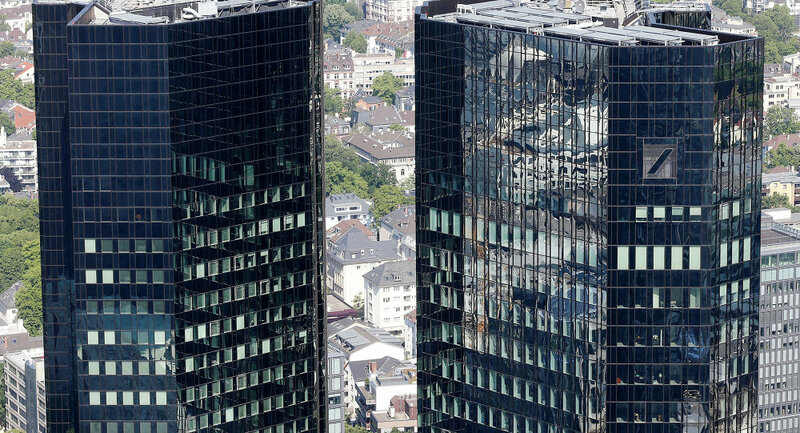 With one of Germany’s largest and systemically important financial institutions, Deutsche Bank, facing increased regulatory and operational challenges, the German government might come to the rescue in a worst case scenario. Kristian Rouz – Deutsche Bank, a global financial institution that has recently faced regulatory challenges in the US and the overall unfavorable business conditions, resulting in a murky outlook regarding its sustainability, is deemed ‘too important’ to the German government to let it collapse, Chief Investment Officer of the Munich-based Allianz Global Investors, Andreas Utermann, said. In the event of further deterioration of the situation, Berlin will be ready to step in and bail out the struggling lender. However, the scope of Deutsche Bank’s overseas operation is bound to decrease, contributing to the further fragmentation in the global financial system. 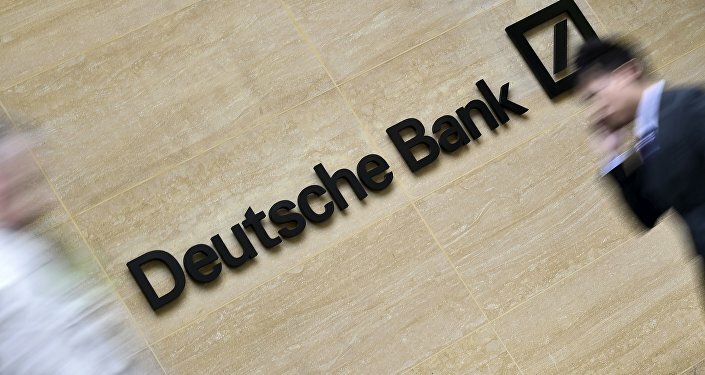 Deutsche Bank is facing $14 bln in fines imposed by the US Department of Justice for the malpractices over several previous years, and the potential necessity to raise that capital has negatively affected the lender’s positioning in the global market, with its stock sliding dramatically in the recent weeks to its historic lows. In addition to the bank having failed the Federal Reserve’s late-July stress-test, the most recent struggle has raised questions over Deutsche Bank’s sustainability and even a possible collapse. German authorities, however, are not rushing to announce their possible support for the bank amid the administrative turmoil in the Eurozone heightened by the recent Brexit. The representative for Chancellor Angela Merkel said on Monday he sees “no grounds” for the government to provide bailout funds to the lender that owns roughly $2 trln in assets. Previously, the speculation was that Merkel rebuffed any possibility of aiding Deutsche Bank, as such a perceived misallocation of taxpayer money would complicate Merkel’s electoral perspective – she aims to run for the fourth term in the upcoming federal elections. "This is a very political issue and I think, sadly, it's going to be politics and not share prices that dictates the market's view of Deutsche," Lionel Laurent of Bloomberg Gadfly said. Meanwhile, further complicating the outlook for Deutsche Bank, the Basel Committee on Banking Supervision was reported as considering new regulations aimed at tightening bank risk assessment. In such an environment, investors are reducing their exposure to risks associated with Deutsche Bank, undermining the lender’s longer-term resilience. “The government will have to step in, should this become a self-fulfilling prophesy with the share price going down too low,” Utermann of Allianz reiterated. Deutsche’s stock dropped 6.9pc on Monday only. Coupled with the slowdown in the German economy and the overall turbulent outlook for the Eurozone, the negative consequences might be very serious to the lender. 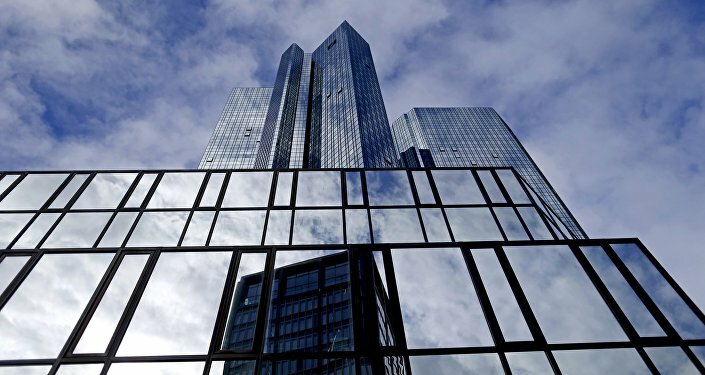 As banking sector regulations have tightened substantially on a global scale in the recent years, Deutsche Bank would find it extremely hard to raise capital without a partial asset selloff, which will inevitably result in a contraction of its scale of global outreach, regardless of whether the governmental bailout arrives or not.